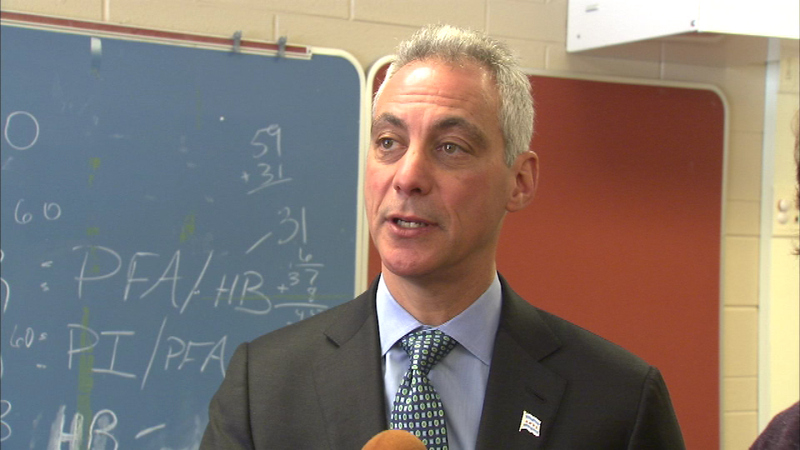 CHICAGO (WLS) -- On the eve of the vote, Mayor Rahm Emanuel said he expects the city council will approve his budget on Wednesday. The budget includes a $588 million property tax increase. Most of that money will be used to shore up the city's police and firefighter pension funds. The budget also calls for new garbage collection fees and it relies on help from Springfield, where Gov. Bruce Rauner and lawmakers have yet to pass their own budget. "We are the economic engine of this state. The state would be nowhere without the city of Chicago. They have an obligation to get their act together while we meet our obligations in a responsible and fair way," Emanuel said. Emanuel made his comments during an appearance on WTTW-Channel 11.